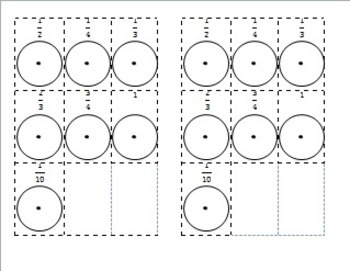 Use circle models, rectangular models and sets to illustrate and compare fractions. 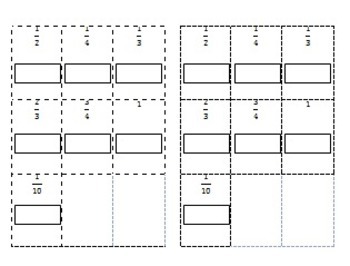 Including landmark fractions: 1/10, 1/4, 1/3, 1/2, 2/3, 3/4 and 1. 1)	Complete the Circle Model for each fraction. 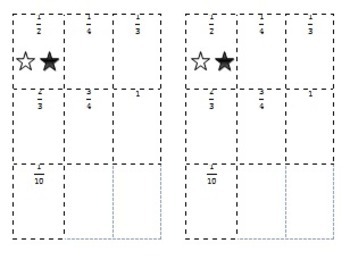 2)	Cut out each piece along the dotted lines. 3)	Arrange the pieces in order from least to greatest. 4)	Check your work with your group. 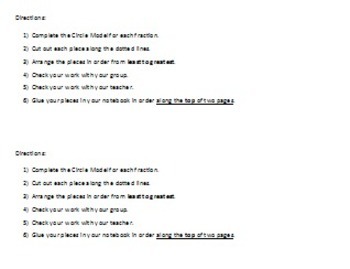 5)	Check your work with your teacher. 6)	Glue your pieces in your notebook, in order from least to greatest along the top of two pages.